I am the sole owner of the information collected on this site. I only have information that you voluntarily give me. I will not sell, rent or share this information to anyone at any time. If you sign up for the e-newsletter I will use your e-mail address to send you the e-newsletter. It is optional to supply your name. If you subscribe to the blog I will use your e-mail address to alert you to any new blog posts. If you leave a comment on one of my blog posts, I collect the data shown in the comments form. After approval of your comment, your profile picture is visible to the public in the context of your comment. When you leave a comment on a blog post, you may opt-in to saving your name, email address and website in cookies. These are for your convenience so that you don’t have to fill in your details again when you leave another comment. These cookies will last for one year. If you leave a comment, the comment and its metadata are retained indefinitely. This is so we can recognize and approve any follow-up comments automatically instead of holding them in a moderation queue. If you are a new student, you are asked to fill out this form prior to your first lesson. I ask for your US mailing address because if the studio has any policy changes, including rate changes, current students are always notified by US mail. Also, I send out holiday cards to all current students via US mail. I will use your phone number and e-mail address to contact you if needed regarding your lessons. All other information provided on this form helps me prepare for your lessons. I maintain reasonable safeguards in an effort to ensure the security, integrity and privacy of the personal information I collect. 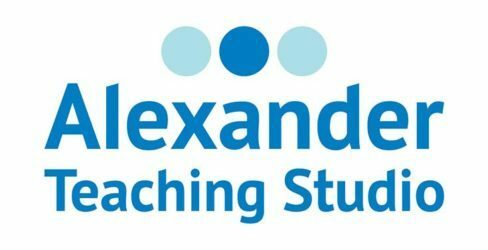 You may send me an e-mail at Lauren@AlexanderTeachingStudio.com to correct or delete any personal information you have provided to me. At the bottom of every e-newsletter you have the option of unsubscribing or updating your e-mail address. At the bottom of every e-mail announcing a new blog post you have the option of unsubscribing or updating your e-mail address. If you leave a comment on one of my blog posts, I collect the data shown in the comments form, and also your IP address and browser user agent string to help spam detection.